The realization of audiovisuals has been possible, over the years, by the collaboration of worthy priests who have taken care of the comments to the Gospel. 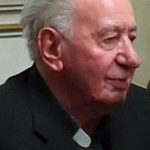 Born on February 26th, 1939 in Mezzocorona (TN), a priest of the Congregation of the Priests of the Sacred Heart (Dehoniani), Father Lino was parish priest in Bologna, rector of the community of the Liceo Dehon in Monza, animator of “Christian Proposal”, youth association for the announcement of the Word of God. From 1999 to 2005 he was rector of the Apostolic School of Albino. Strongly committed to evangelization, he was among the first to understand the importance and opportunity offered by the new media: radio, TV and the internet. Whoever had the opportunity to listen to him at Radio Mater will certainly have felt his heart open to joy because, starting from the Bible, he always spoke only of the God of Love, of the God who condemns no one and who wants every one of his children next to him. The last years of his life were deeply marked by illness, a true ordeal, accepted with great courage, always animated by hope in the Risen One. 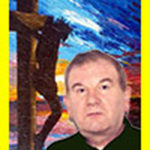 Father Lino Pedron died on April 13th 2010. Dehonian Biblista, Father Fernando obtained a licentiate in theology at the Pontifical Urban University and in Sacred Scripture at the Pontifical Biblical Institute in Rome. He completed his studies in history, biblical archeology and Hebrew at the University of Jerusalem. For some years he was a missionary in Mozambique. He currently teaches Sacred Scripture, is accredited lecturer in Italy and abroad and is the author of videos and comments on the Holy Scriptures through his own site. https://www.fernando-armellini.it. Originally from Thiene, where he was born on December 21st ,1979 Don Marco was ordained a priest on June 6th, 2004. From September 17th 2011, he was chaplain at the maximum security prison “Due Palazzi” in Padua. He is a journalist and television presenter (Rai) and holds conferences and meetings throughout Italy, particularly in schools and parishes. On 11 December 2013, under the guidance of Irish Jesuit Father Michael Paul Gallagher, he received his doctorate in Fundamental Theology at the Pontifical Gregorian University in Rome. https://www.sullastradadiemmaus.it/chi-siamo/don-marco-pozza. In some holidays the comments of Msgr. Antonio Riboldi. Born in Triuggio on January 16th, 1923 and returned to the Father’s House on December 10th, 2017 in Stresa. He was an Italian Catholic bishop, appointed January 25th, 1978 by Pope Paul VI. He was known for his commitment to legality and justice, which he experienced during his pastoral ministry, first as pastor and then as bishop. Born in Aosta in 1965, he is an Italian theologian writer. In 1995 he was appointed director of the diocesan catechetical office, and later he oversaw the coordination of the city’s youth ministry. From 1999 to 2007 he was responsible for the Office of Ecclesiastical Cultural Heritage of the Diocese of Aosta. 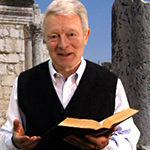 In 2004, thanks to a group of friends from Turin, he founded the site that publishes the commentary on the Sunday Gospel and its audio conferences. In the same years he conducts the daily radio broadcast First of all, for the national Inblu circuit of the CEI and collaborates with the monthly magazine Parola e Preghiera Edizioni San Paolo, which proposes a daily journey of prayer for contemporary man. 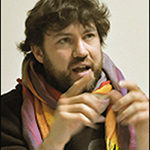 As a journalist, he has collaborated with some Christian magazines (Il Nostro Tempo, Famiglia Cristiana, L’Eco di Terrasanta) and with Catholic pastoral sites. He has published several books.